German for adults German courses for adults and students of all ages and language levels who want to study German in the summer or throughout the year. German for Professionals These are specialised German courses where you will learn the fundamentals of your target language, including listening, speaking, reading and writing, and you will use the German language in familiar professional situations. German Exam Preparation German Exam preparation courses designed to improve your skills for the exam so you will learn techniques for doing the reading comprehension quickly and efficiently. German courses for Juniors Each summer or throughout the year, Language Bookings teams up with our most trusted language schools to provide an excellent collection of Junior German Language Holidays in a safe, fun and international environment. A German language course is a great way to enhance your global vocabulary. With the advent of the technology nowadays that lets us do business in any part of the world, we have to be equipped with the knowledge that lets us approach and understand another culture in a way that will forge diplomatic relationships. If you are interested in the German culture, then a German language course will be a great tool to help you understand the German way of life. 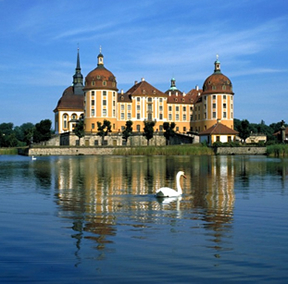 As you go through a German language course, you will soon see that Germany is a great country filled with scenic spots. Learning their language will equip you with the knowledge to enjoy staying at the country and marvel at their treasures. A German language course can also help you make your trip more adventurous since you can boldly walk along the streets without the fear of getting lost and having no one to speak to. Learning the language of this country while experiencing its vast richness through a German language course will provide you with an experience that you will remember for the rest of your life. Use your first language as a tool to learn the secondIf your first language is English, then create “verbal markers” that will signify the German term for an English word. For example, you can easily think of the German word for “swim”, which is “schwimmen” when you know that they have the similar letters in their spelling. The English word “garden” is also similar to its German counterpart which is “der Garten.” Use markers like these to associate similar words to each other and in no time at all, you will be speaking the German language fluently. You can also learn more of these through a German language course. Learning a second language takes some time. Even if you have a high IQ, you cannot learn the German language through a German language course in just a matter of weeks. A German language course will take some time before you get a good grasp on the grammar and usage of the language. Immersing yourself in the country can help you learn their language fast. You can also try to read, write, and speak in German as often as you can to enhance your German-speaking skills. As a last tip, you have to enjoy learning the language through a German language course. People who are driven with the passion to achieve something are the ones who succeed with their endeavors. If you do your best while you are studying a German language course, you are also likely to master the basics of this language.